Welcome to St. Charles which happens to be one of the most historic main streets in all of America. It all started in 1769 when Louis Blanchette, a French-Canadian fur trader founded St. Charles and named it, Les Petite Cotes, French for "The Little Hills". Today old inns and buildings still stand as if time has stood still. Some structures date back to the early eighteen hundreds when rock was chiseled by hand and delivered by mule. 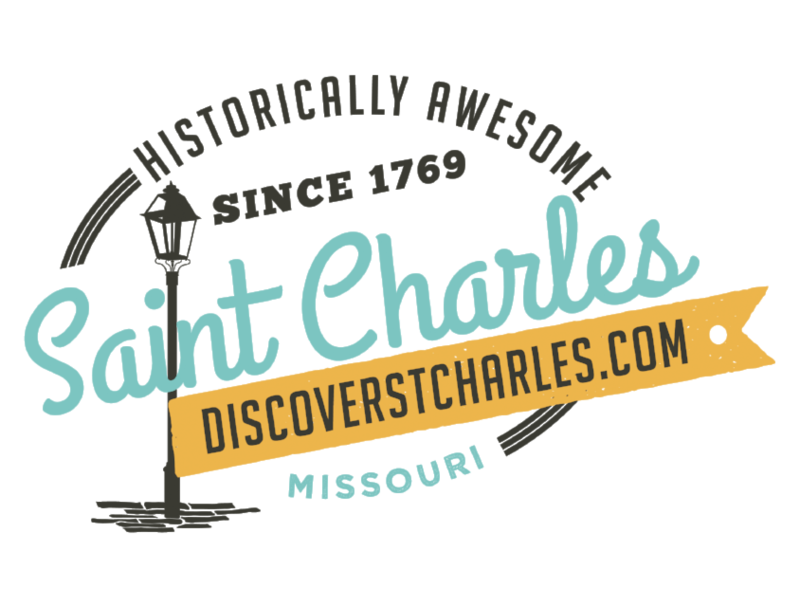 St. Charles is also famous for being the starting point for Lewis & Clark&apos;s great expedition, the fact is, this was the starting place for thousands of American&apos;s on their journey westward. This tour will give you an overview of life as it was in the early days of St. Charles, when the Boone family, Lewis and Clark and hundreds of pioneers walked the same streets as you will walk today. 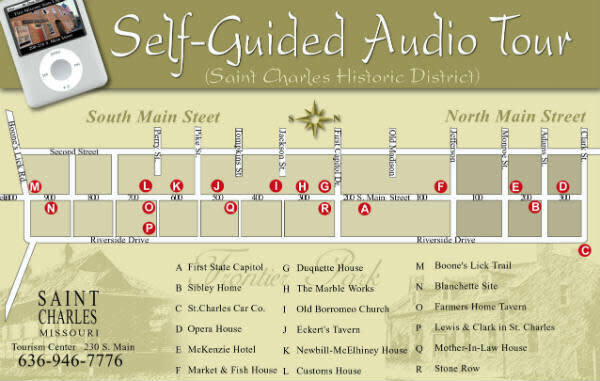 We&apos;ll uncover some of St. Charles&apos; colorful past and visit lovingly restored buildings along the 18 stops of the tour. This is a walking tour and at the end of each presentation, you will be prompted with directions to your next location. You can follow it as presented or create your own tour route in any order. This program gives you the flexibility to do as much or as little as your time permits. Simply use the menu to select each stop on the tour. If you need to rest, there are public benches for you to use. Click on the map below to begin your tour of one of the largest Nationally Registered Historic Districts in the midwest!